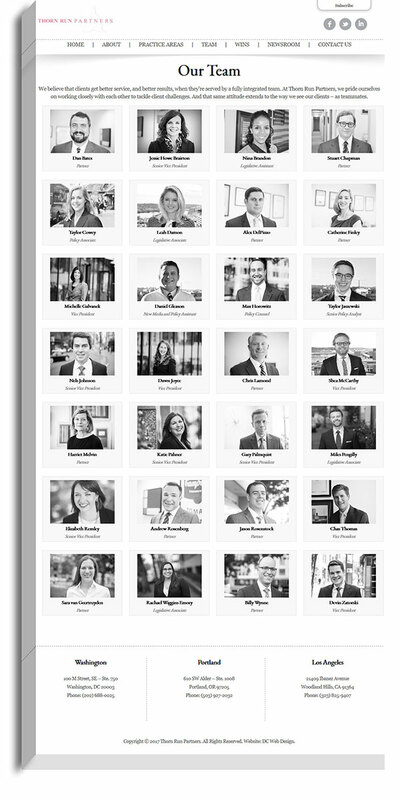 Thorn Run Partners is a recognized leader among the next generation of government affairs firms. 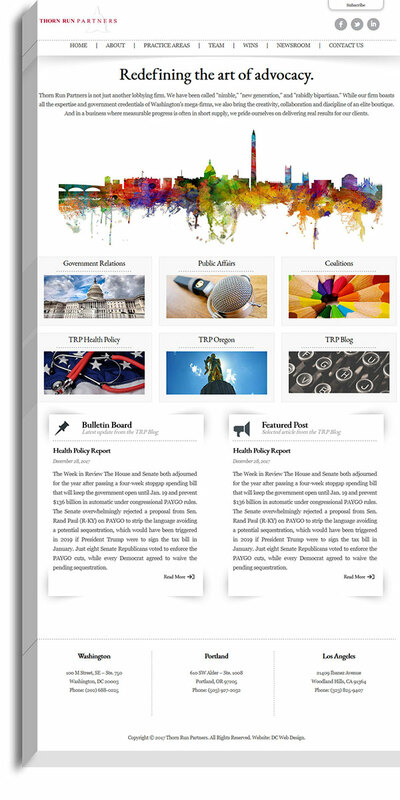 By incorporating traditional lobbying, deep policy expertise and innovative communications capabilities in one client-friendly platform, TRP approaches challenges with a truly comprehensive arsenal of skills, strategies and tactics. And at the end of the day, it’s all geared towards one, measurable outcome – their clients’ success. TRP approached 80Port for a complete digital identity rebrand and redesign. TRP needed to serve the needs of all clients by letting them easily find what they are seeking, providing them with access to key services and healthcare policy news and updates. 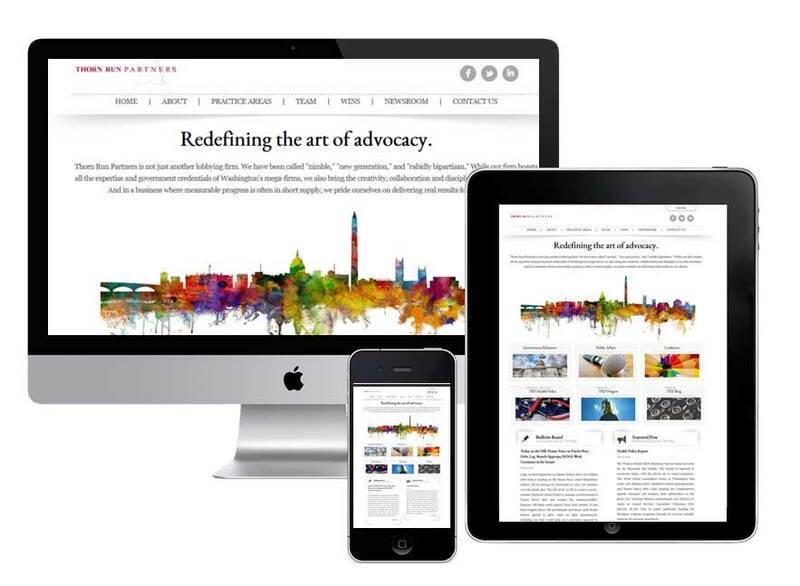 80Port’s design team developed intuitive and consistent options for navigating the website, especially moving from services to industry news and to general information. The new branding took a modern, professional feel. The end result was a completely revamped online brand, website, and digital presence. Thorn Run Partners - A DC web design and marketing agency, we offer design and marketing for DC businesses small and large. Our web design solutions give you the advantage you need to be competitive in today’s competitive digital landscape. Our offices are located in DC; we partner closely with our DC clients to offer cutting edge design and innovative digital marketing solutions. We build and elevate brands using expert digital strategy and exemplary web design. Through our design process, we discover hidden potential by understanding your identity and your audience.